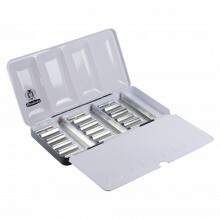 This black folding metal watercolour palette will hold between 12-14 full pans or between 24-28 half pans comfortably. 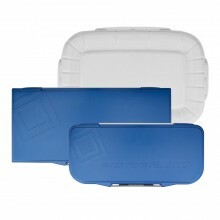 It is ideal for those wishing to paint on location as you don't need a separate palette for mixing as it comes with two folding-out palettes. 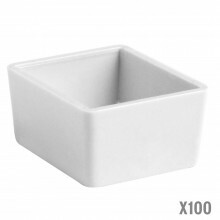 It allows you to create your own custom set of watercolours with half pans, full pans or a mixture of the two. When opened the palette measures 22cm x 20.5cm x 2.5cm. Q. Do the St Petersburg White Nights pans fit into this pallete? A. 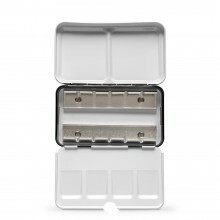 The St. Petersburg White Nights pans will fit into this box as the metal slots are flexible and can be opened to accomdate slightly wider pans.